You can set up several websites with your account. It can be very useful if you want to test both your website and its mobile version or if you want to test Kameleoon on your website in pre-production first. To add a new website, you must be logged in to your personal space. Use the left menu to go to the “Configured sites” page. On this page, you will find the list of the websites you have configured with your account. To add a new one, click on “Add site”. A new block appears, but it is not set up yet. To configure it, click on the “Add the URL” of your site button. Fill in the URL of your website and click on the “Validate” button. Once you have registered your URL, Kameleoon will create a script to install on your website. 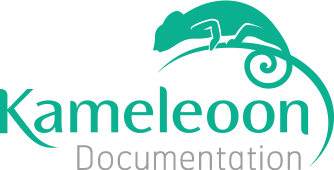 You can now install Kameleoon on your website with the same method used for your previous websites. For further information about the installation of Kameleoon, please read our Installation guide. When you have installed the script on your pages, you can set up your new website. Reporting tools and goals are specifics to a single website, so you will have to set them up for each of your sites. For further information about reporting tools and goals, please read our article Reporting tools and goals.